​Ground Pork is mixed with traditional Chorizo Seasonings and then stuffed into natural casings. 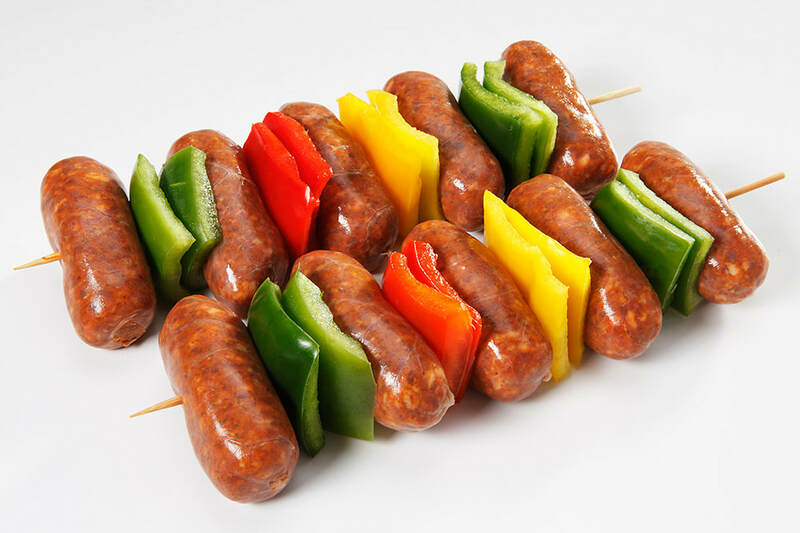 Each Chorizo Pork Sausage kabob has 5 approximately 1.75 oz sausages on a wooden skewer with alternating pieces of green, red and yellow bell peppers. Each sausage link is about 2.5 inches in length. Available with 4 or 5 sausages.